I love eBay, in fact its my go-too when I want a dube of a statement necklace, a T shirt or just something like lint free nail polish remover pads. The possibilities are endless! 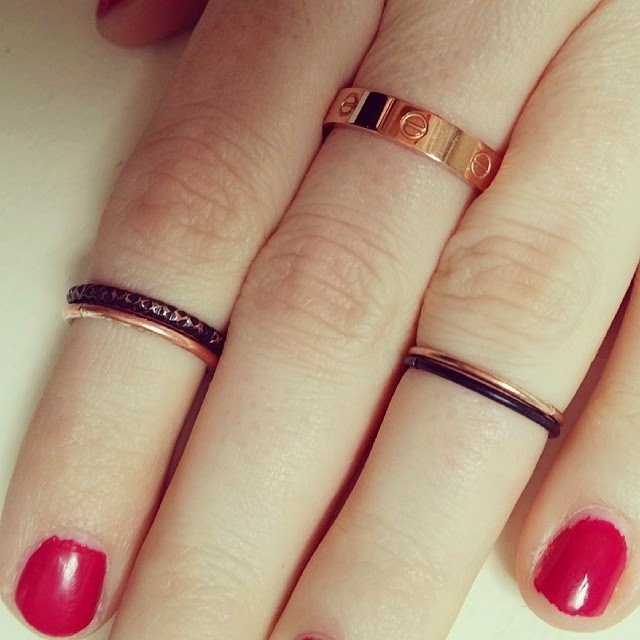 But one thing I do love is dupes on jewellery, especially if the jewellery is Rose Gold. I've seen these Cartier looking bangles on celebs for months and I've always wanted my own, so that's where eBay came in. The ring and bracelet are from two entirely different eBay sellers and both took a while to arrive, but once they did they haven't been off of my hands since. The rose gold ring can be used as a midi ring, or worn as a normal ring according to how I feel, I chose a size 7 which I guess is a universal size when it comes to ring sizing? They would make wonderful gifts for a fashionista in your life, or just to treat yourself too! I get sooo many comments on this combination from friends, so I thought I would share the love with you all. 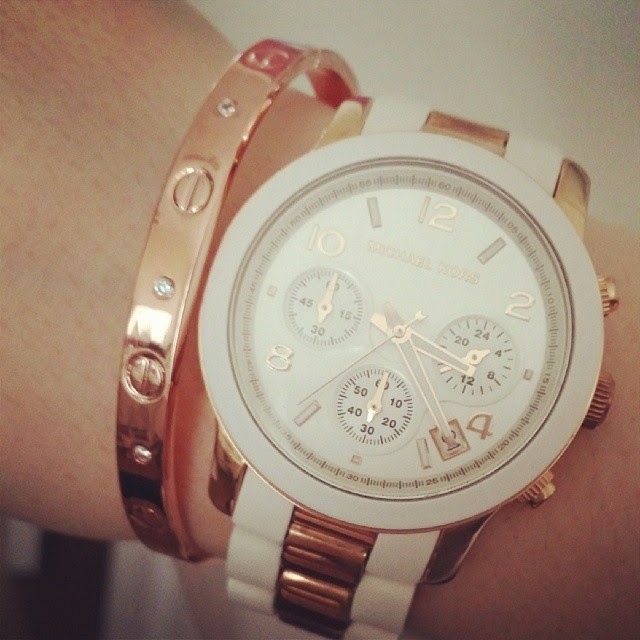 After all I am Rose Gold obsessed! Claire, I want to see the Silver one as well :)) how about the other rings, where did you get them? 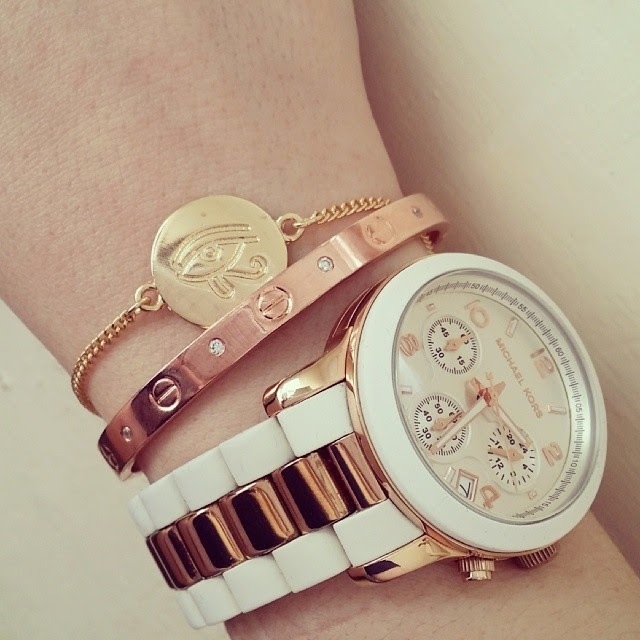 In love with your watch! !